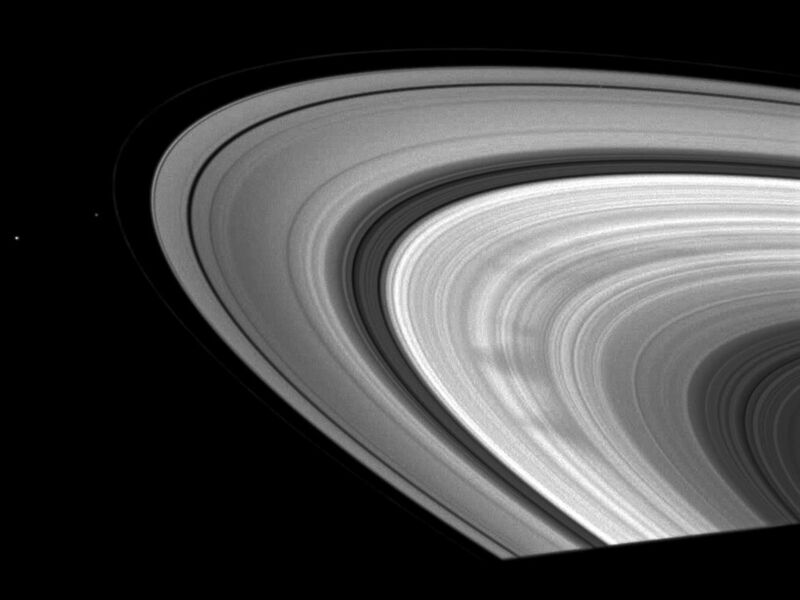 This November 2008 Cassini snapshot showcases a classic view of the triangular shape typical of many of the spokes in Saturn's outer B ring. 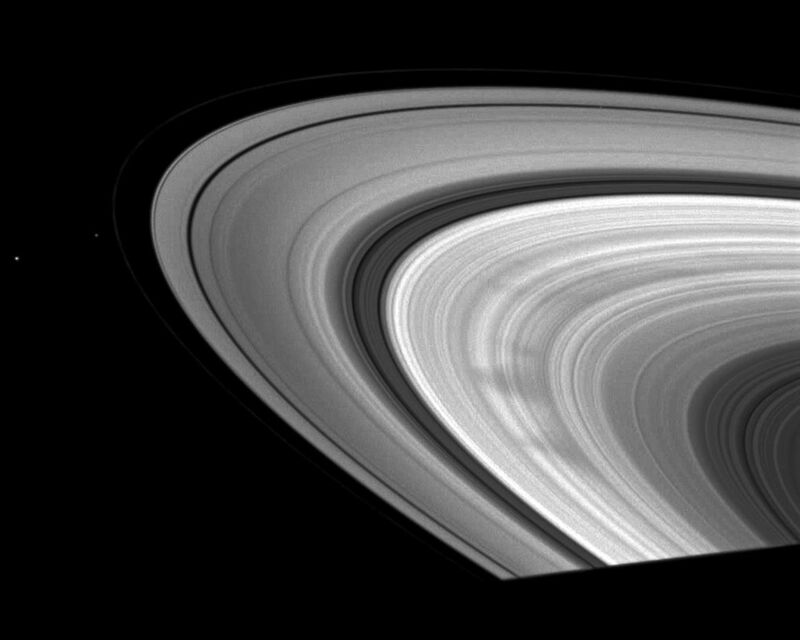 Small particles in the ring compose the spokes and these wedge-shaped patterns seem to be appearing more often as Saturn approaches equinox. The moons Pan, Pandora and Janus are also visible. 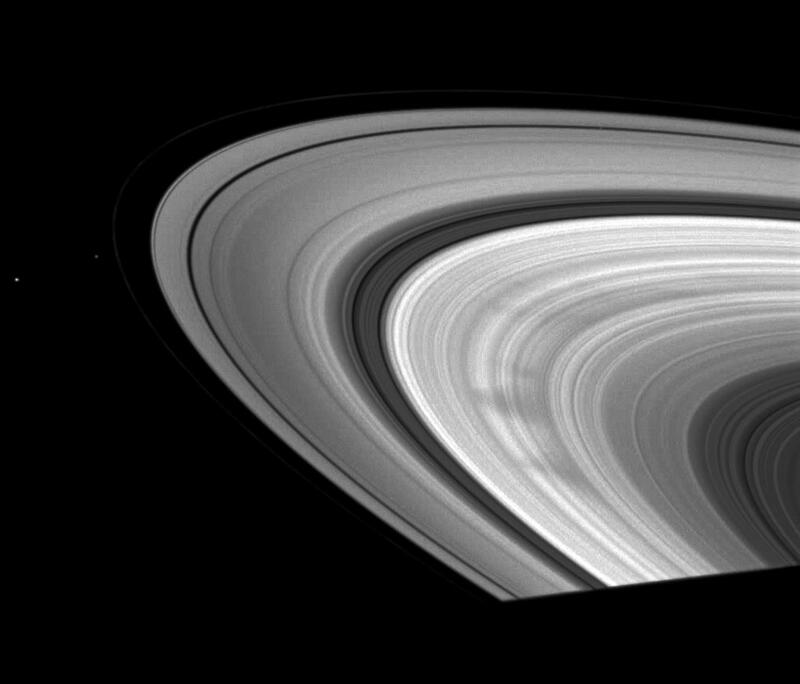 Janus (179 kilometers, or 111 miles across) is farthest outside the rings. Pandora (81 kilometers, or 50 miles across) orbits outside the faint F ring. Pan (28 kilometers, or 17 miles across) is near the top right of the image and can be seen as a faint sphere cutting a path in the thin black strip of the Encke Gap in the A ring. 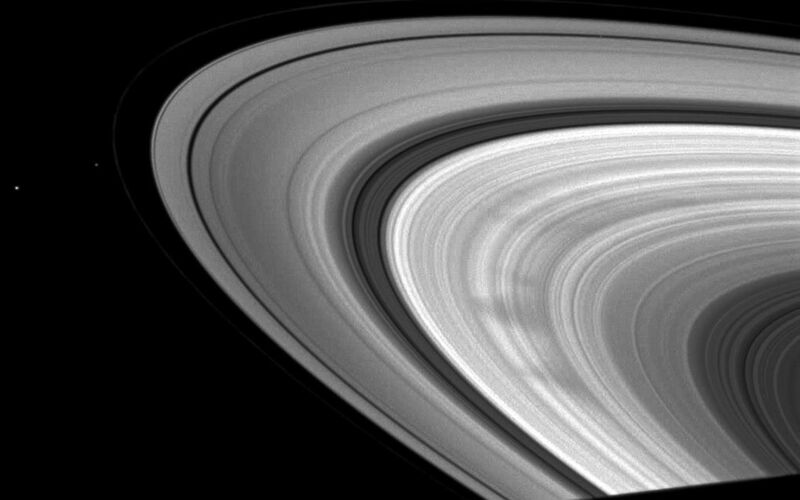 This view looks toward the sunlit side of the rings from about 12 degrees below the ringplane.The image was taken in visible light with the Cassini spacecraft wide-angle camera on Nov. 10, 2008 at a distance of approximately 1.029 million kilometers (639,000 miles) from Saturn and at a Sun-Saturn-spacecraft, or phase, angle of 29 degrees. Image scale is 58 kilometers (36 miles) per pixel.